Low Price Guarantee! We will beat any online advertised price by $10! Product: Lifetime Swing Sets - 438001 Commercial Quality metal Playground Playset Earthtone Colors. 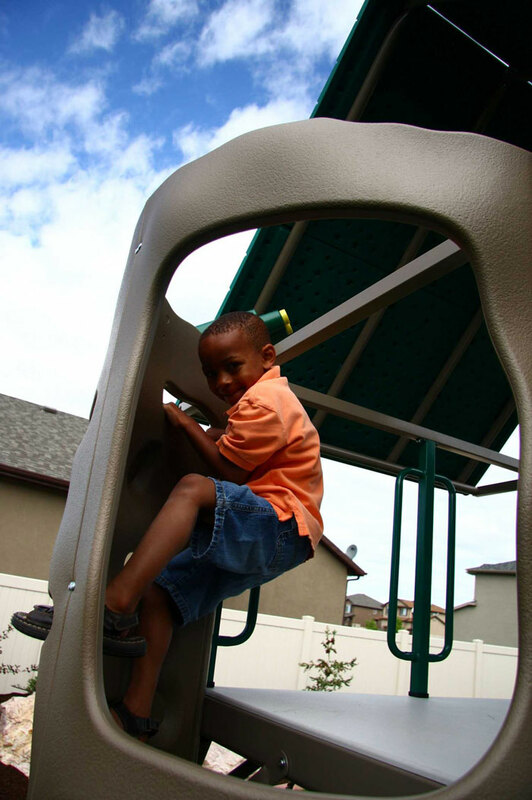 Lifetime Playgrounds are built from maintenance free steel and uv protected plastic. 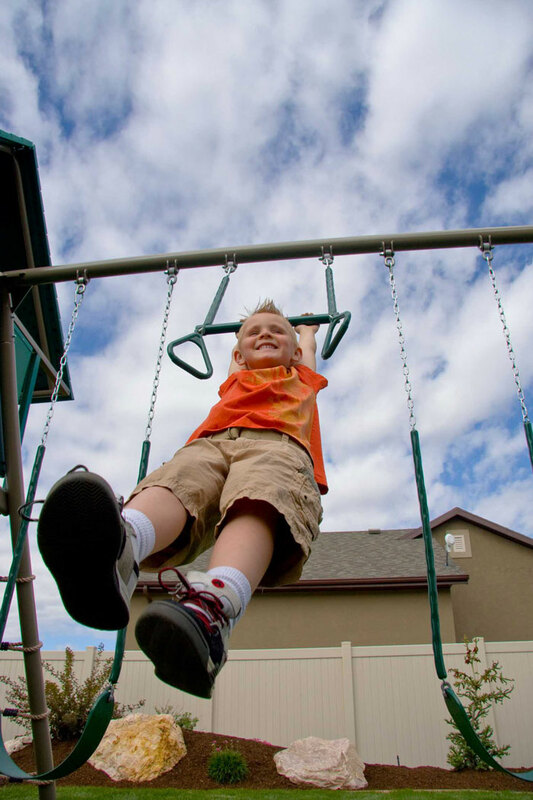 These swingsets are made to withstand rigorous daily use. The commercial quality allows for children of all ages to participate. Children love the clubhouse and toddlers have the option of a bucket seat (scroll down for more information). These 438001 playgrounds are maintenance free allowing more time for watching and playing. The poles and frame are powder coated to prevent rust. The plastic parts wont fade or crack consisting of the latest uv protecting technology. Best of all this is delivered right to your home. The freight company even unloads it. ads it. 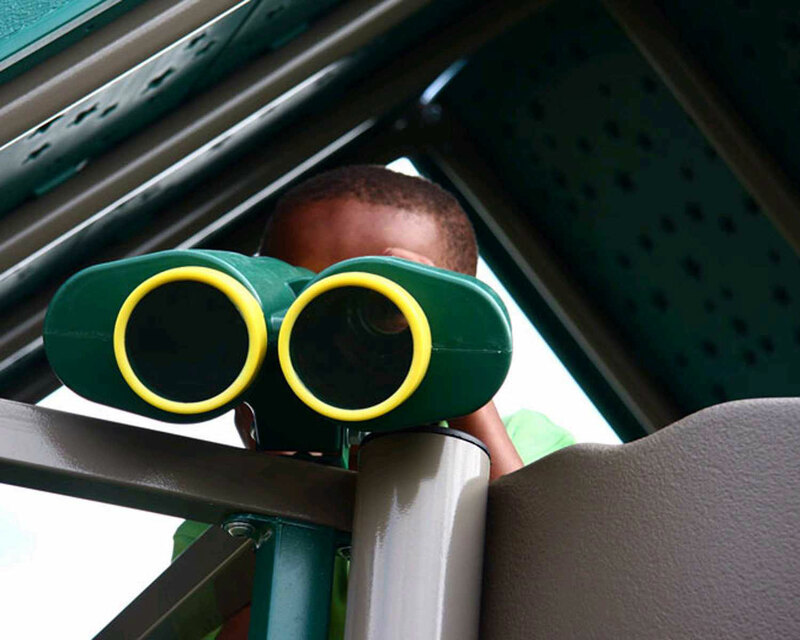 Captains Wheel and Binoculars to Stimulate the Imagination. Quick ship within the 48 states generally takes 3-5 to west coast and 5-7 to east coast. Ships from Utah factory direct. Enjoy hours and years of fun on this playground. 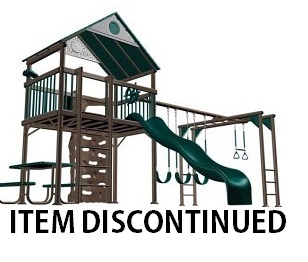 Metal playgrounds like this offer little to no maintenance whereas wooden play sets often need to be restained, sanded, or repaired. With the plastic uv-protected roof the children can have picnics, play games, and use their imagination protected from the sun. This is one of our top selling playgrounds. It includes a 7-year manufacturer's warranty and has a 30 day money back guarantee. Call for details. Lifetime Products 438001 Deluxe Swing Set comes with a 10 Year Manufacturers Warranty. Competitive Edge Products, Inc. is an authorized distributor of Lifetime Products 438001. I was very pleased with this play set while putting it together. The instructions were clear and it was very easy to locate the correct parts and hardware for a smooth assembly. My boys 6.5 and 2.5 LOVE IT! My only needs for improvement were due to paint rubbing/chipping off on the monkey bar pieces and main uprights for the playhouse during shipping. Certainly nothing that could not be fixed up with the supplied touch up paint. I appreciate the free shipping on orders as large as mine! This play set is just perfect for my kids 9 and almost 2 and for all their friends:). The earth tone colors are so pleasing. No need to anchor or cement, since it is very sturdy as it is. We have removed one of the swings and have attached a bucket swing for my infant. After we installed last week, mom, dad and kids sat on the clubhouse tower to watch the 4th of July fireworks. Amazing swing set, best of all it is affordable!